Attention designer shoppers: your chance to save big on big name items is about to get a lot easier! The Asbury Park Press reports that Nordstrom Rack, the outlet arm of the upscale department store will open in Eatontown next fall. The store won’t be in Monmouth Mall, but rather across the street in the Crossroads at Eatontown Plaza on Rt. 35 near the intersection of Rt. 36. 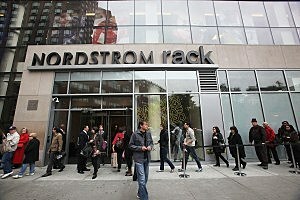 Currently, the closest Nordstrom Rack stores are in Cherry Hill, Livingston, Brooklyn, and Manhattan.